6 Bdrm Detached Dwellhouse. Ground flr: V/bule. Reception hall. Lounge. Dining kitch. Utility rm. 2 Bdrms. Office. Bathrm. 1st flr: 4 Bdrms. Shower rm (CT band - D). Garden. Garage. Price over £250,000 Entry by arr. 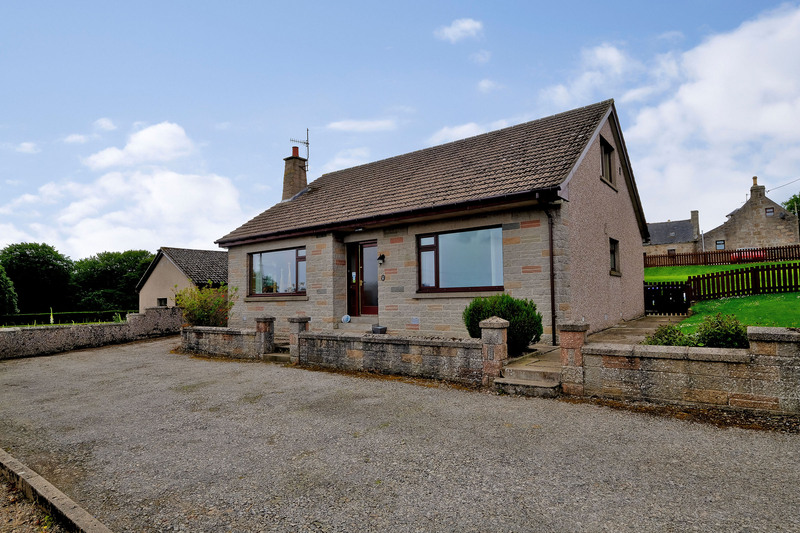 Viewing Mrs MacDonald 01771 653493 or 07808 773248. (EPC band - E). 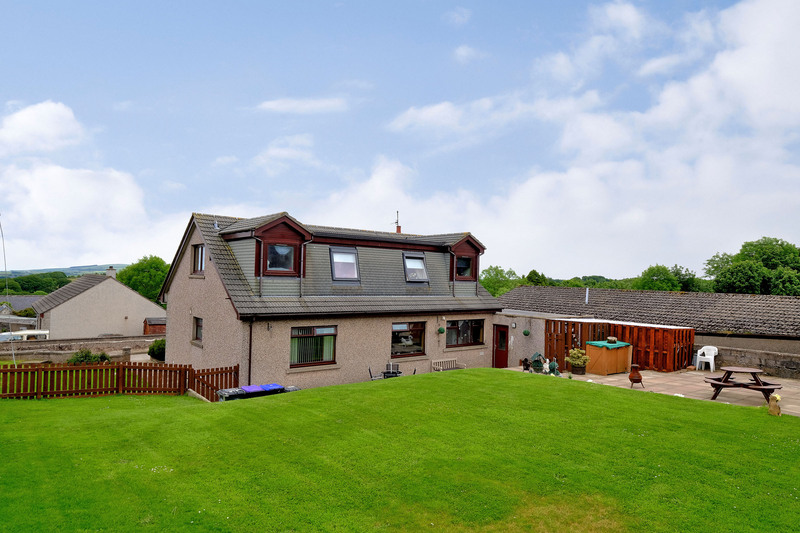 We are delighted to offer for sale this most attractive SIX BEDROOM DETACHED DWELLINGHOUSE situated on a large elevated site within the village of New Pitsligo. 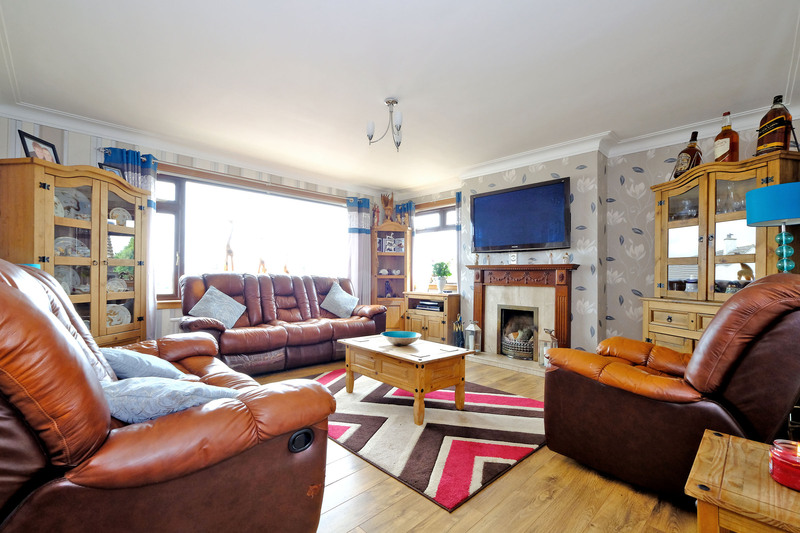 The property has been extensively upgraded and refurbished by the present owners to provide a spacious and versatile family home. 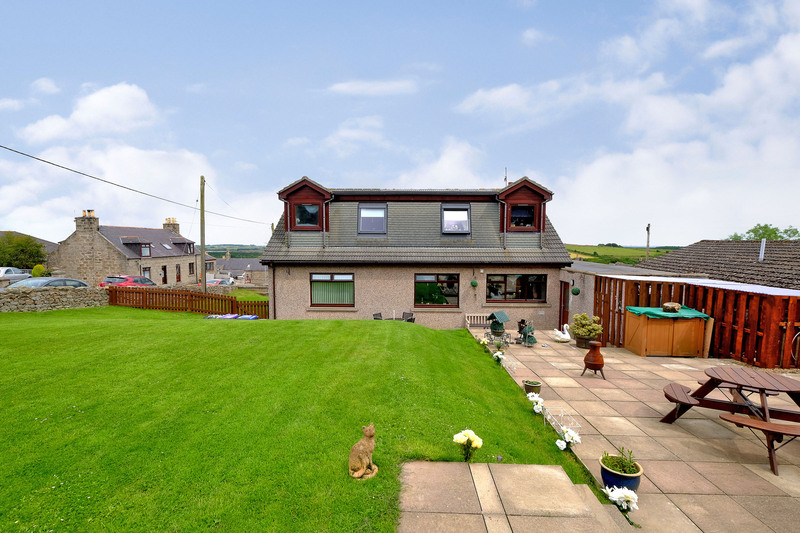 The property enjoys open country views over the village from the front facing rooms. 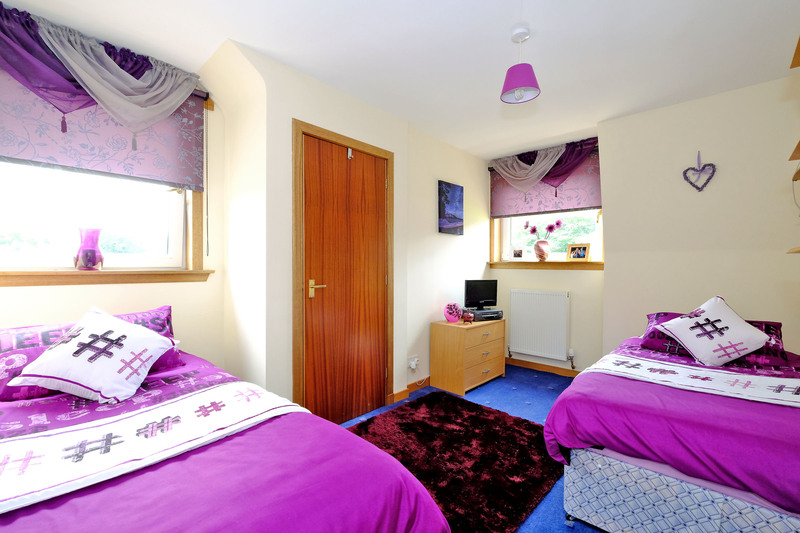 The property is in good order throughout mostly double glazed with oil fired central heating. 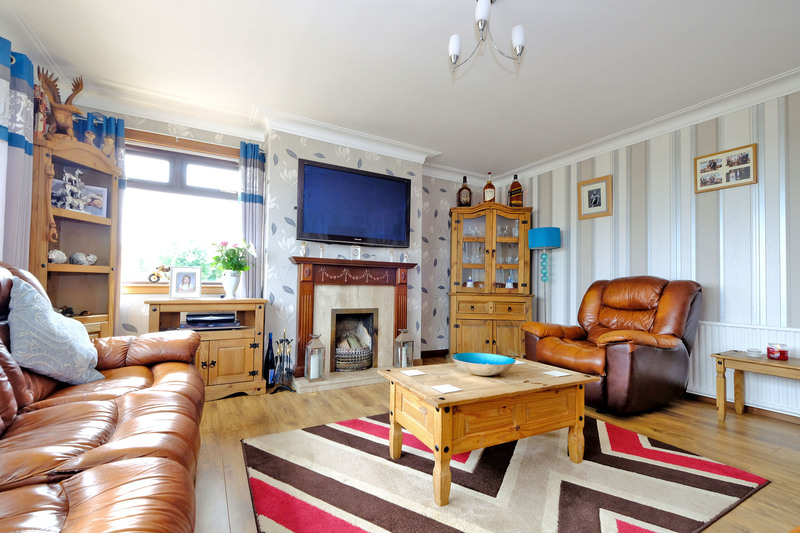 The décor is smart and modern and complimented by the choice of floor coverings. 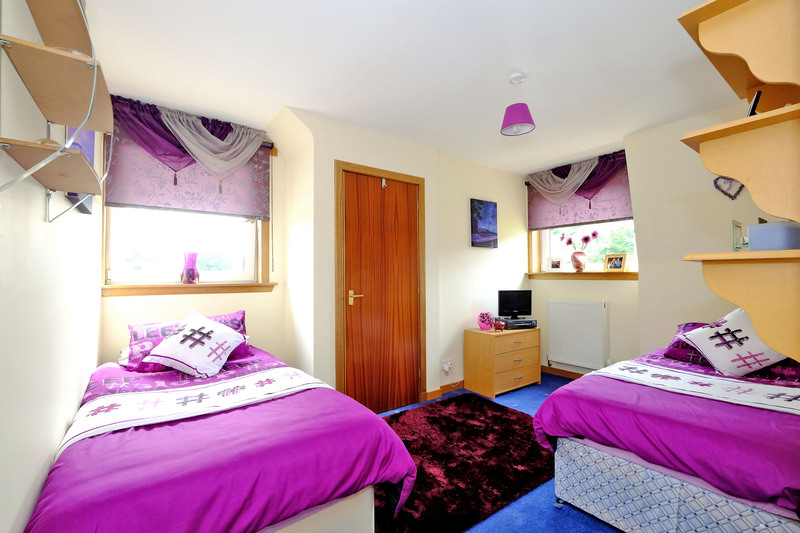 The accommodation, over 2 floors comprises: Entrance Vestibule, L-shaped Reception Hallway, well proportioned Lounge with front and side facing windows, bright and spacious Dining Kitchen with 2 rear facing windows and fitted with a range of quality fixtures and appliances, good sized Double Bedroom with front facing window, family Bathroom with separate shower cubicle, further good sized Double Bedroom with rear facing window, Utility Room, large office with front facing window on the Ground Floor. 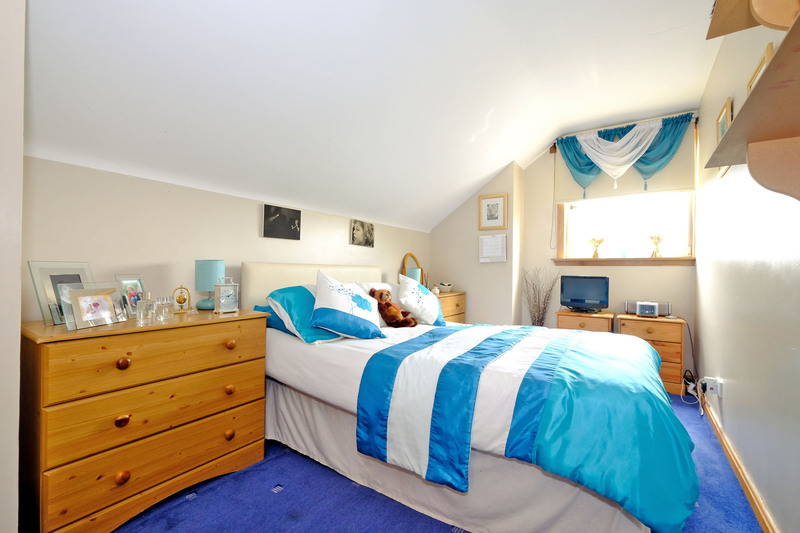 A door and carpeted staircase leads to the generous Upper Floor landing which in turn provides access to 3 further Double Bedrooms, a single Bedroom and a Shower Room. All room sizes are generous. 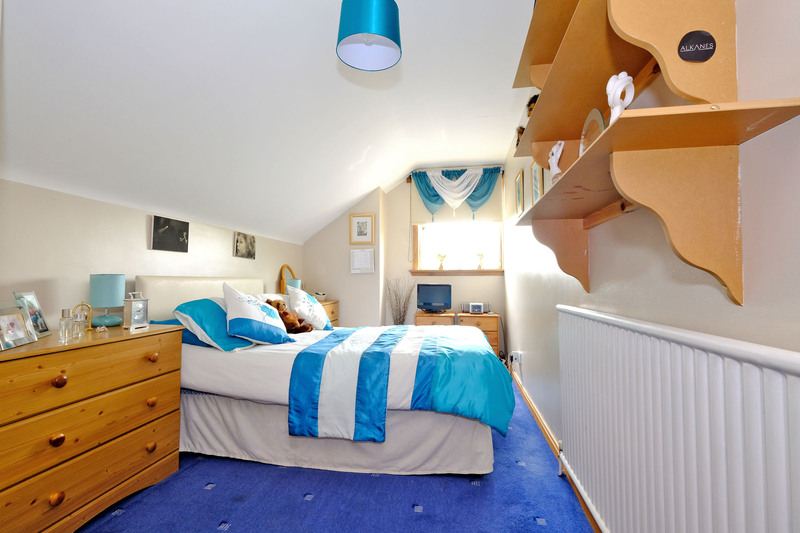 The property also boasts good storage accommodation with built-in wardrobes in most of the Bedrooms, a range of built-in storage cupboards and wardrobes in the Upper Hallway and a further eaves storage area accessed from the Upper Hallway. There is also a large workshop/garage at the rear of the property. 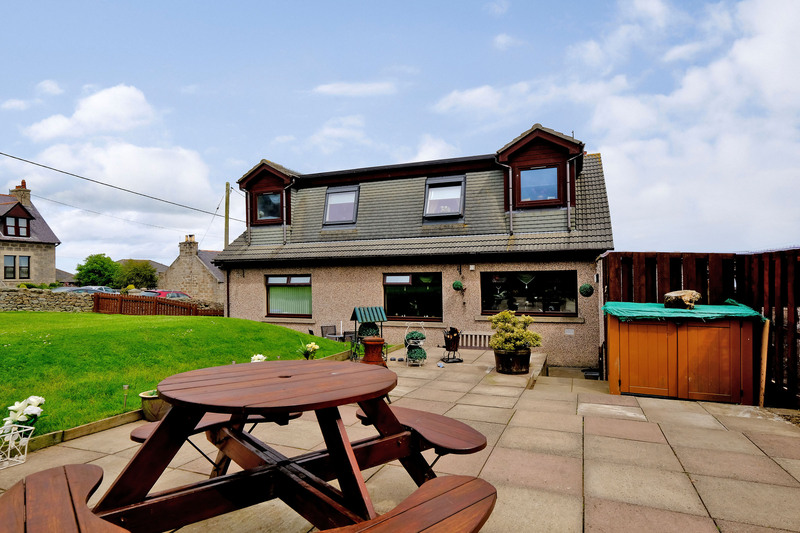 The large rear garden with paved patio area is ideal for outside entertaining. The driveway to the front of the property provides off-street parking for several cars. 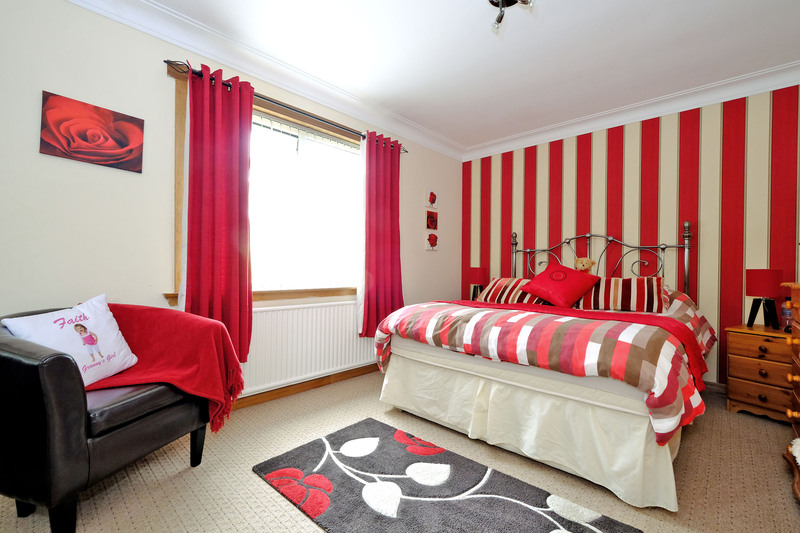 All fitted floor coverings, curtains and blinds and some kitchen appliances (where listed) are included in the sale. 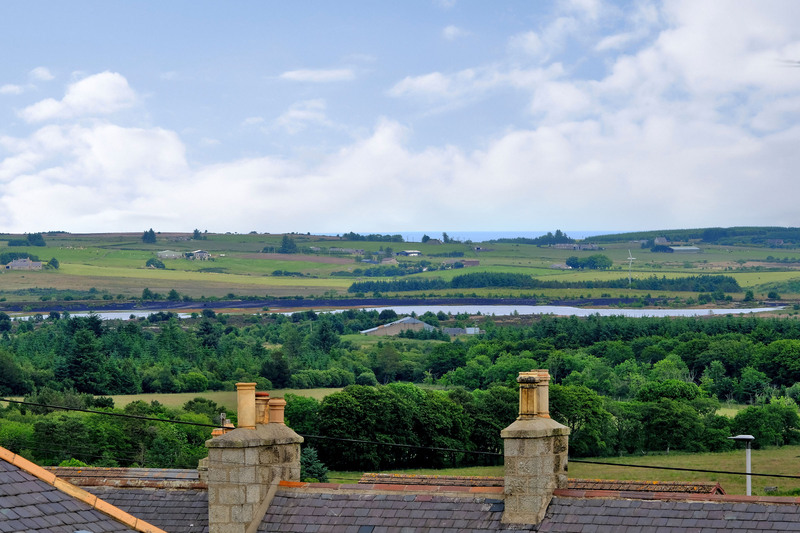 New Pitsligo is a charming Buchan village with a lively community spirit and is well placed for access to Banff, Fraserburgh, Turriff, Peterhead and Ellon as well as being an excellent commuter base for Aberdeen. 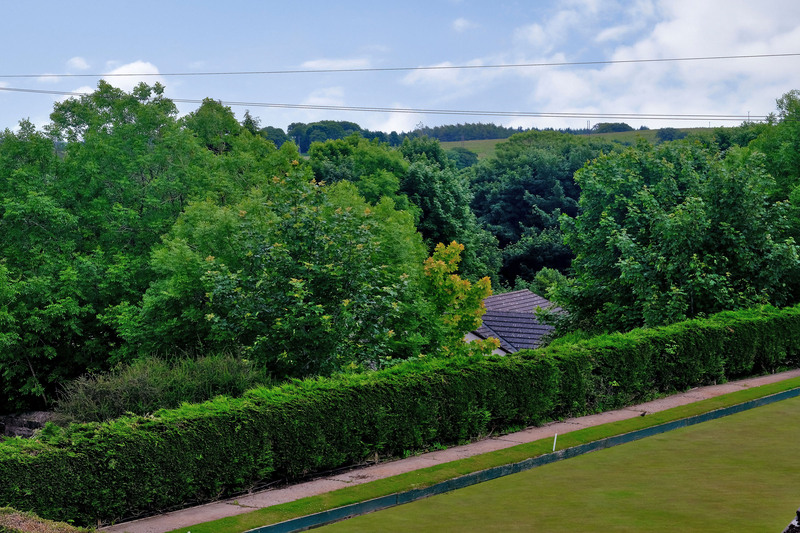 There are a number of local and community facilities including Post Office, Bank, Medical Centre, Library, Costcutter supermarket, café and hotels. Pre-school and and primary educational facilities are available locally with secondary school education available at Fraserburgh or Mintlaw Academy. ENTRANCE VESTIBULE: Glass panelled front door with matching side screen. Grain effect laminate flooring with matwell. Ceiling cornice. Meter cupboard. Ceiling downlighters. Glass panelled inner door with matching side screen. INNER HALLWAY: A good sized L-shaped hallway with all rooms leading off. Grain effect laminate flooring. Radiator. Telephone point. Double power point. Ceiling downlighters. Ceiling cornice. LOUNGE: (15’7 x 15’6 approx) A well proportioned “livingroom” with large picture window to the front and further side window both with curtains. Grain effect laminate flooring. Fireplace with marble inset, matching hearth and wooden mantelpiece. Ceiling cornice. Twin radiator. ceiling light, ample power points. TV aerial point. Wired for satellite TV. 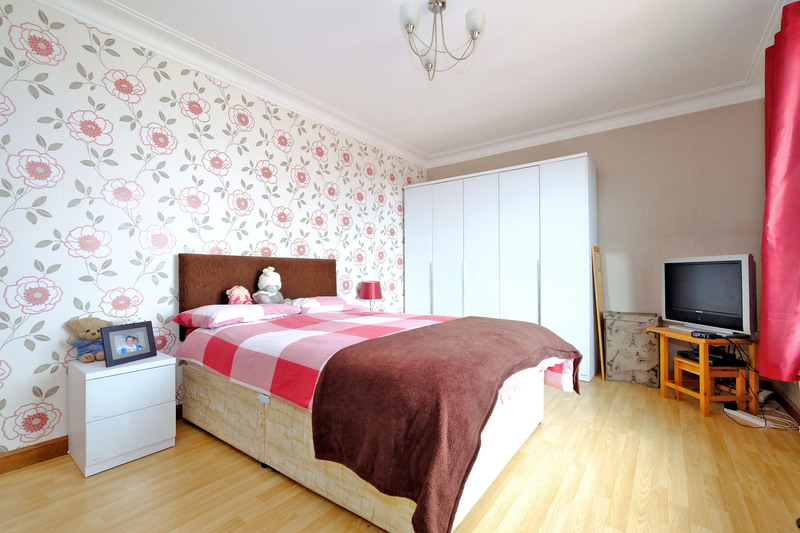 BEDROOM 1: (15’1 x 10’6 approx) Presently used as a Double Bedroom but easily adapted for use as a Dining Room/Sitting Room. Window to the front of the property with vertical blinds and curtains. Grain effect laminate flooring. Radiator. ceiling cornice. Ceiling light. Ample power points. TV aerial point. 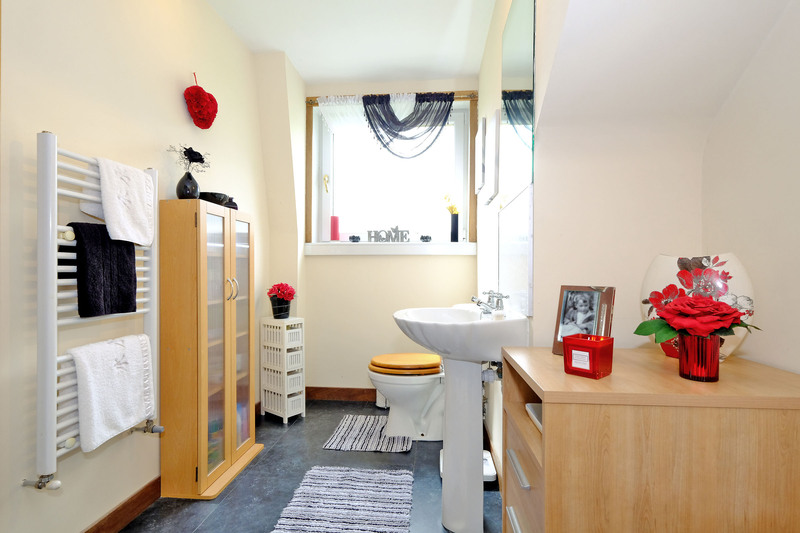 BATHROOM: Fitted with a 3 piece white suite. 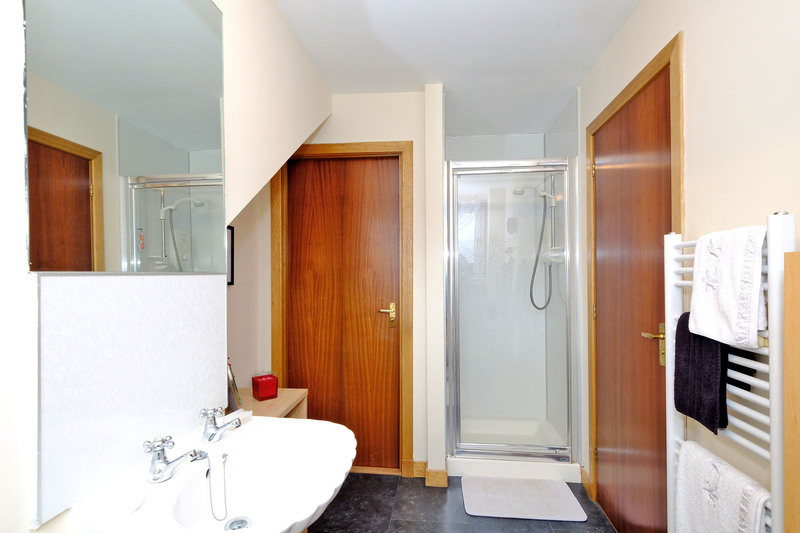 Separate aqua panelled shower cubicle with mains operated shower. Opaque glass side facing window with window dressing. Laminate flooring. Wash-hand basin recessed in vanity unit with several storage cupboards and recesses and also concealing the cistern. Chrome ladder style heated towel rail. Ceiling downlighters. Medicine cabinet. Ceiling cornice. Extractor fan. BEDROOM 2: (13’8 x 10’3 approx.) 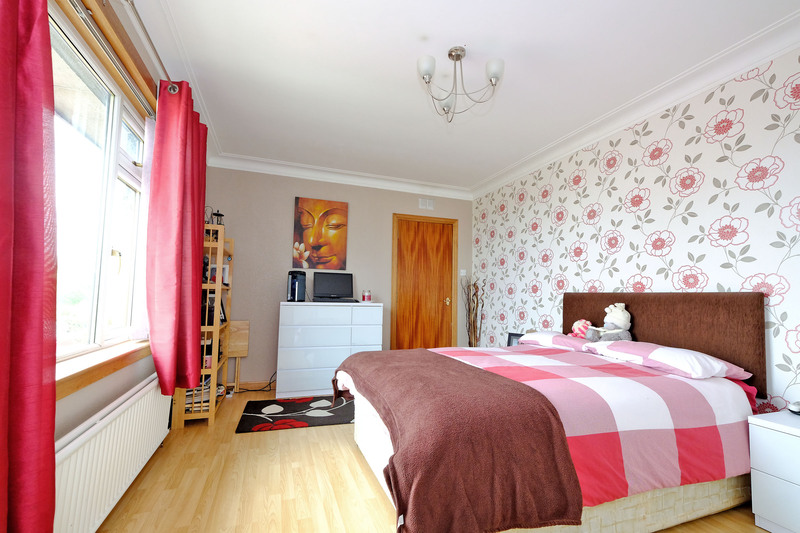 A good sized double bedroom with window overlooking the rear garden. Vertical blinds and curtains. Fitted carpet. Built-in wardrobes with mirrored sliding doors providing considerable and hanging storage space. Ceiling cornice. Ceiling light. Radiator. ample power points. DINING KITCHEN: (20’ x 14’ approx.) 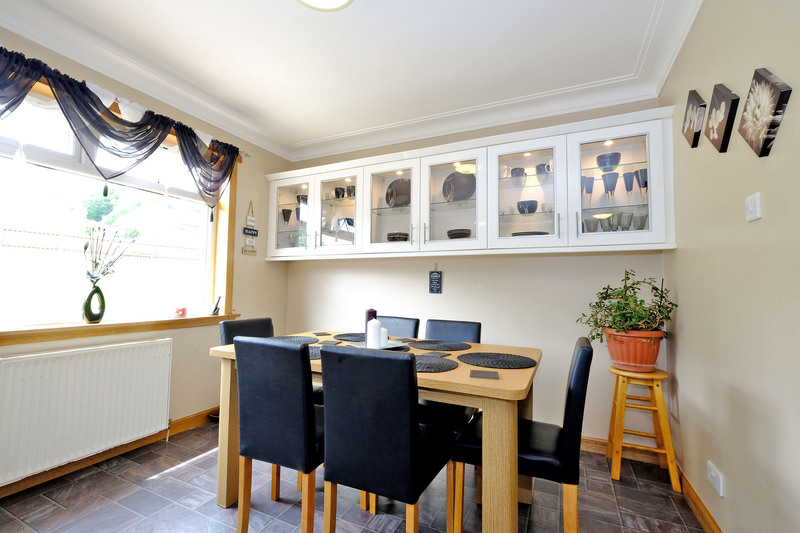 The Dining Kitchen provides a bright and spacious “living area” ideal for the modern family. Fitted with a range of modern base and eye level storage units with High Gloss white cabinets, chrome handles and contrasting dark marble effect worktop. Wall boarding behind worktops. 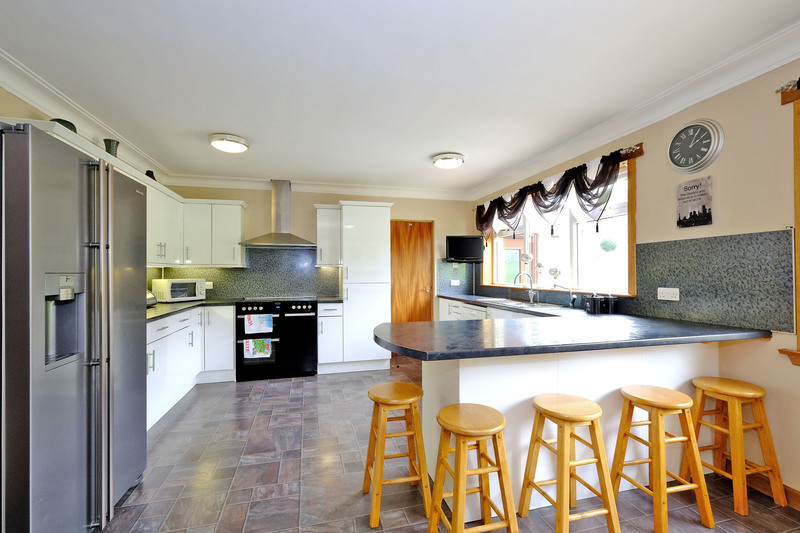 Large breakfast bar (with stools). Two large windows overlooking the rear garden. 1½ bowl sink and drainer with mixer tap and waste disposal unit. Dedicated hot water tank. Integrated Bosch dishwasher. Belling Rangemaster style cooker with induction hob and double oven below. Stainless steel chimney style extractor hood. Ample space for large dining table and chairs. Space and plumbing for American style fridge/freezer. Laminate flooring. Two radiators. Ample power points. Ceiling lights with complimentary unit lighting. 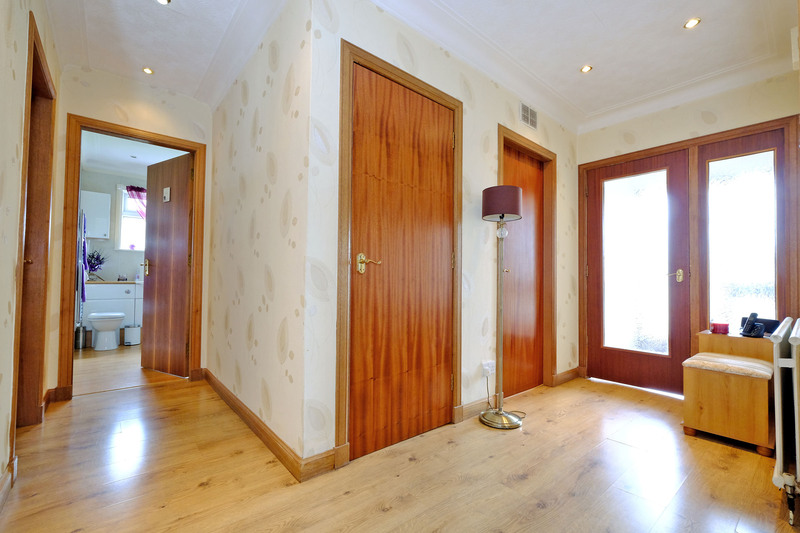 Doors to Hallway and Rear Hallway. REAR HALLWAY: Stone floor. Back door with glazed panel. Ceiling light. Doors to Office, Utility Room and Dining Kitchen. UTILITY ROOM: (14’ x 10 approx.) 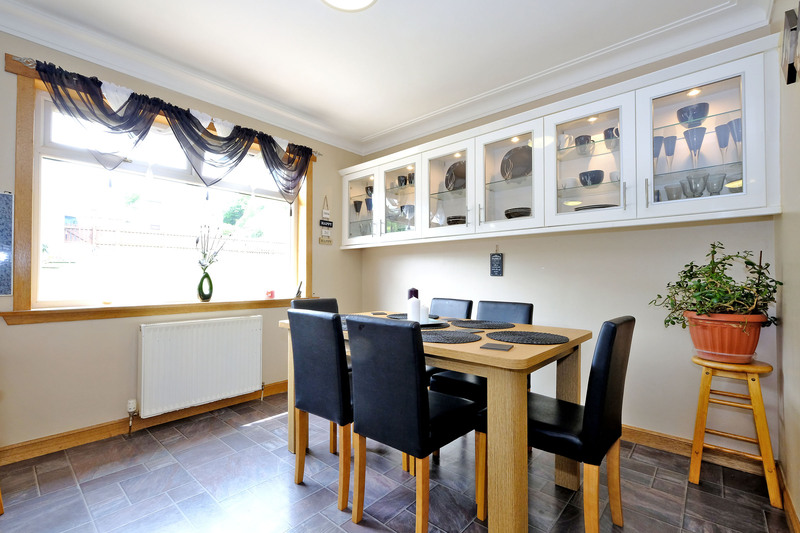 A useful addition to the existing Dining Kitchen and fitted with similar base and eye level storage units. Farmhouse style sink. Window to the rear of the property. Space and plumbing for washing machine and tumble dryer. Ceiling lights. Central heating boiler and central heating timer. Ample power points. Clothes pulley. Built-in shelving. Pantry style cupboard. 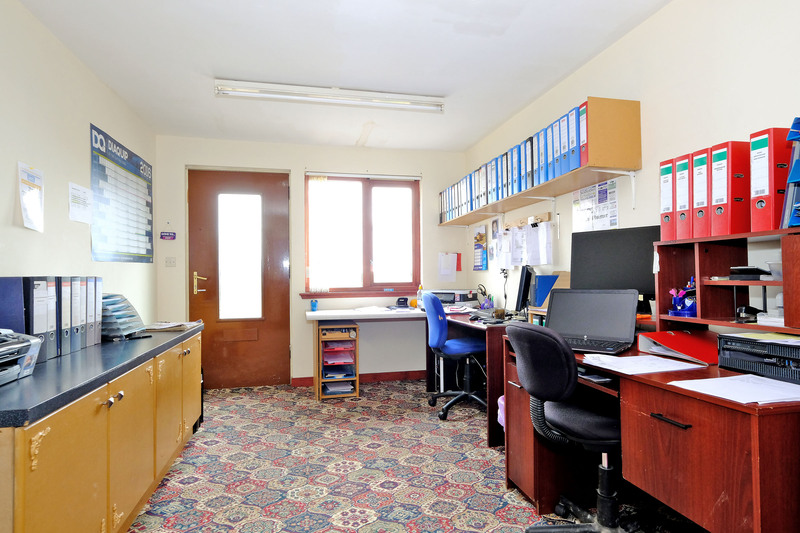 OFFICE: (17’ x 9’8 approx) A large multi-purpose room presently used as an Office. Twin ceiling lights. Built-in shelving. Fitted carpet. Ample power points. Telephone point. Window overlooking the front garden. Door with glazed panel. UPPER FLOOR A door and carpeted staircase with wooden handrail leads to the Upper Floor landing. 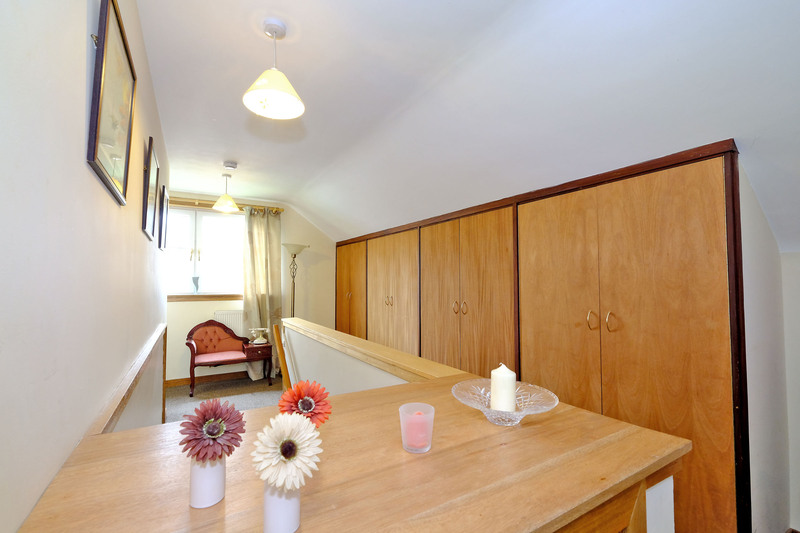 Large landing area with several built-in cupboards/wardrobes. Side facing window providing natural light. Fitted carpet. Ceiling lights. Door to large eaves storage area. Radiator. ample power points. 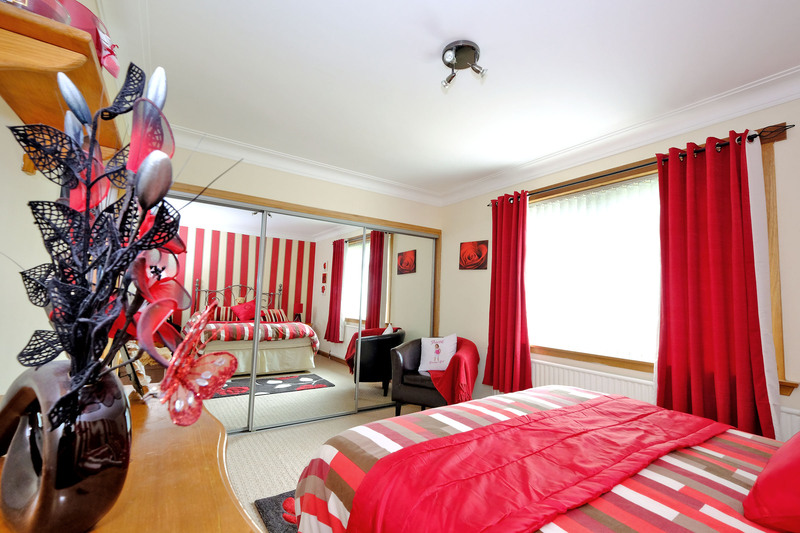 BEDROOM 3: (16’3 x 8’ approx.) 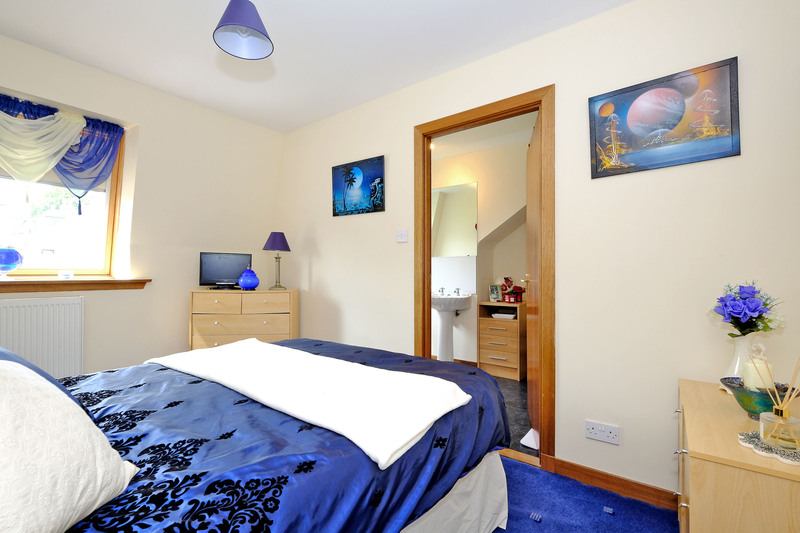 Another good sized double bedroom with side facing window. Window blind and window dressing. Fitted carpet. Built-in wardrobe with hanging rail and shelf. Radiator. ceiling light. Ample power points. 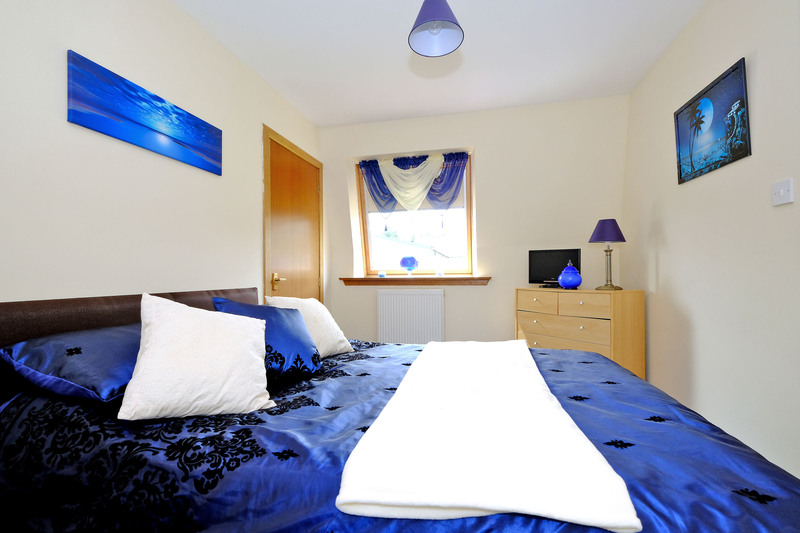 BEDROOM 4: (13’7 x 13’approx) Another good sized double bedroom with side and rear facing windows both with blinds. Fitted carpet. Built-in wardrobe with hanging rail and shelf. Radiator. ceiling light. Ample power points. BEDROOM 5: (8’8 x 8’8 approx.) 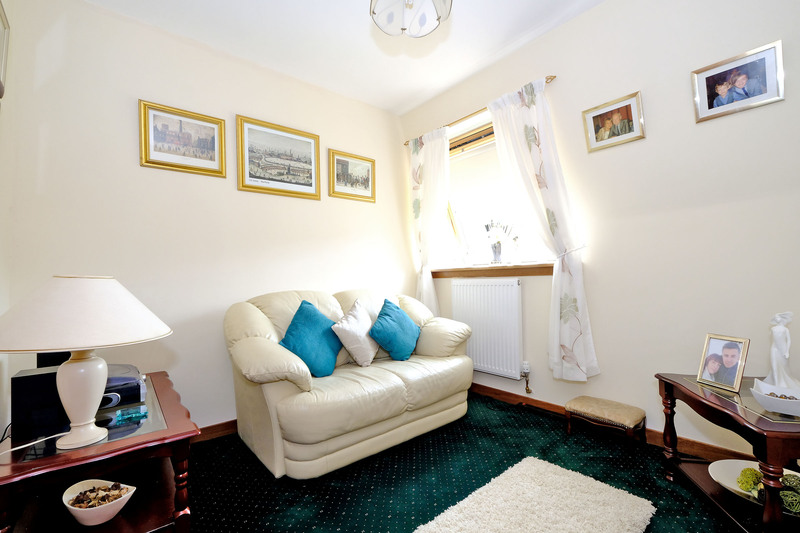 A single bedroom but presently used as a Sitting Room. Rear facing window with blind, curtains and tie-backs. Fitted carpet. Double door built-in wardrobe with hanging rail and shelf. Ceiling light. Radiator. ample power points. BEDROOM 6: (12’1 x 8’4 approx) Another good sized double bedroom with rear facing window. Blind. Fitted carpet. Built-in wardrobe with hanging rail and shelf. Ceiling light. Radiator. ample power points. 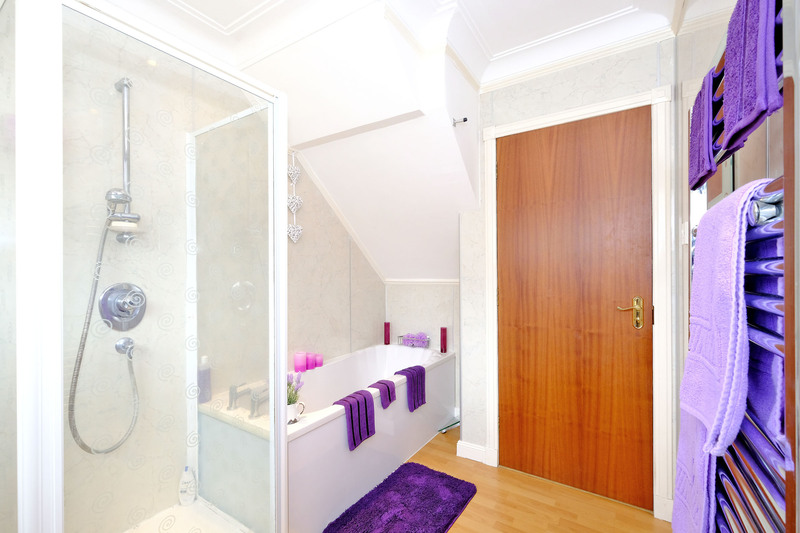 Door to Shower Room. SHOWER ROOM: Opaque glass rear facing window with window dressing. White WC and wash-hand basin. Aqua-panelled shower cubicle with Mira Sport shower. Tile effect laminate flooring. Ceiling spotlight cluster with 3 lights. Ladder style heated towel rail. Vanity wall mirror. Doors to Hallway and Bedroom 6. Front A tarmac driveway leads up to the front of the property and provides off-street parking for several cars. Low maintenance flower/shrub borders presently laid with granite chips. Steps and path to front door continuing as a pathway to the side of the house. Carriage style outside light. Side: Concrete path leads to the rear of the property. Side access gate. Lawn with inset border. Rear: The large rear garden is mostly grassed. Large paved patio area ideal for outside entertaining. Further low level patio area adjacent to the rear of the house. 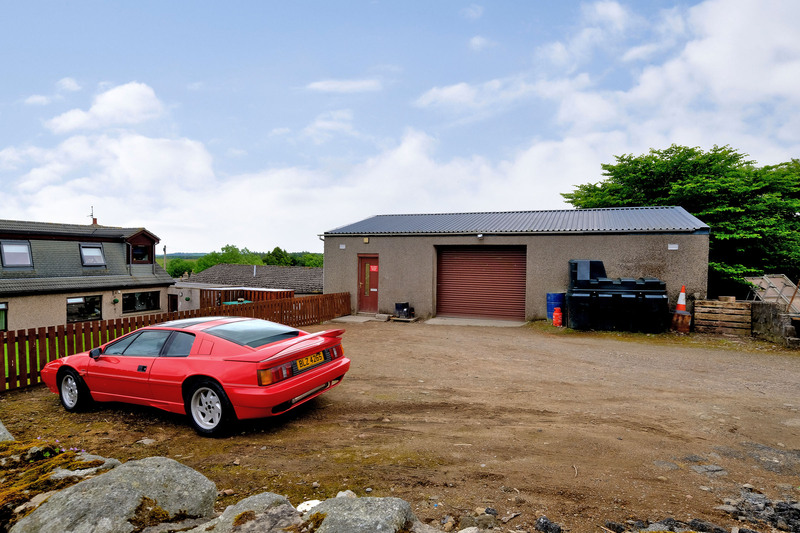 Car parking/turning area adjacent to garage/workshop. Oil tank. Outside light. TRAVEL DIRECTIONS: Travelling north on the A9 Aberdeen to Fraserburgh road bypass Ellon and continue ahead at the fork at Toll of Burness and branch left onto the A952. Continue ahead to Mintlaw turning left at the large roundabout onto the A950. Continue to New Pitsligo and on entering the village proceed along High Street with Church Street located some way along on the left hand side.